Cincinnati Vultures — CJ Zilligen Design Studio, Inc. 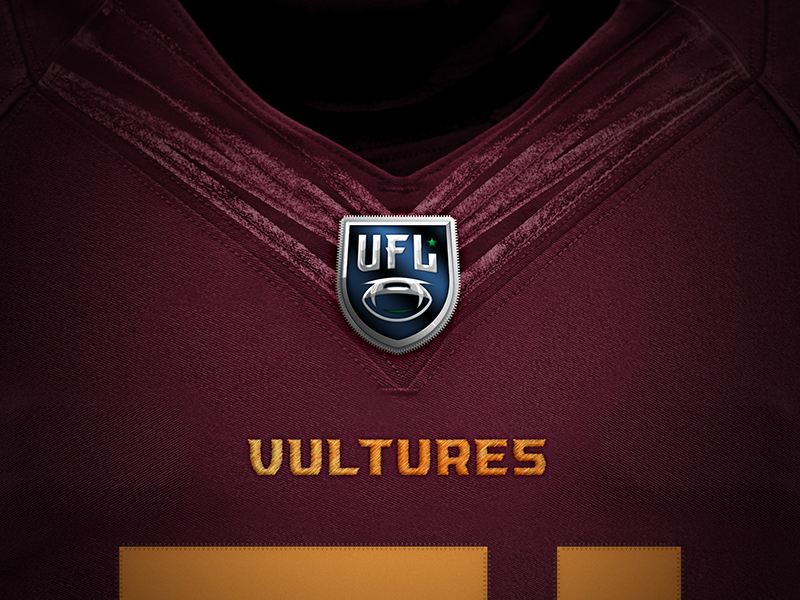 The Cincinnati Vultures are a fictional football team that is part of the Ultimate Football League. The Vultures play in the Great Lakes Division of the Great East Conference. The Cincinnati Vultures franchise is named in honor of the Rüppell's Vulture, a native bird of Africa considered to be “at risk” and is exhibited in the Cincinnati Zoo. These vultures have a dirty grayish-brown coat, a white underbelly and collar, and yellow amber colored eyes. They are silent birds, soaring high overhead in search of food until becoming vocal at the nest or around carcasses, cawing and screeching to establish territory. The large bird has a beak powerful enough to break bones, essential for survival as this animal feeds off the dead. 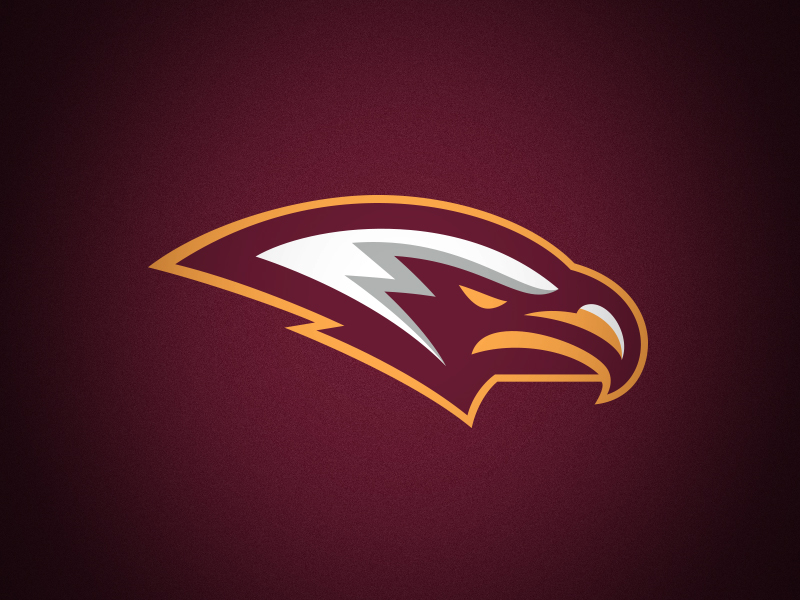 The Vultures sport a deep wine red and athletic gold color scheme, with the only hints of white and gray present in the primary Vulture logo. 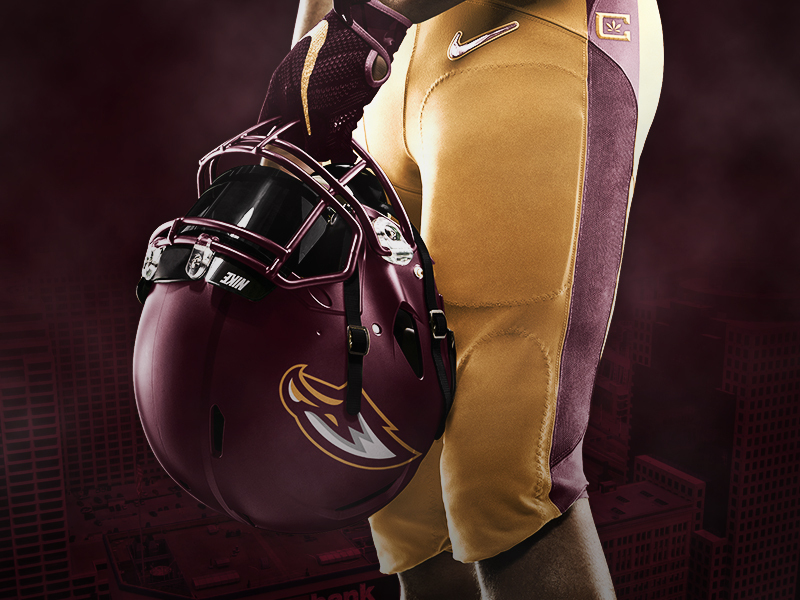 Their secondary logo is a “C” derived and modified from the team word mark paired with buckeye leaves from the state tree of Ohio. 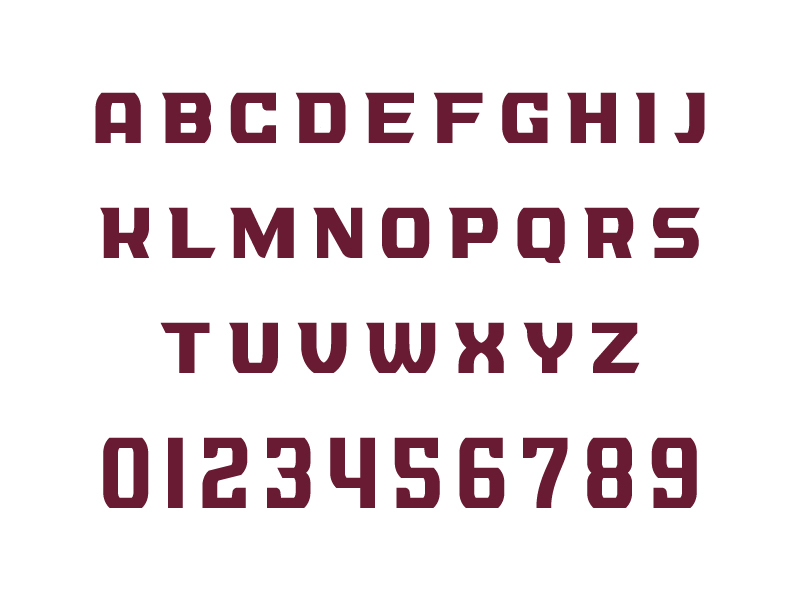 The team typeface is built uniquely with curves and angles to mimic the aggressive nature of the vulture.